Send SMS alerts with HP OpenView solution of the American society and multinational e Hewlett-Packard Company , often known by the abbreviation HP , is a leading company on the French market in IT and electronics. 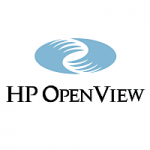 HP Open View is: the centralized management of event and process management, Open View allows for dialogue and prevent when managing events, or incidents. The network monitoring tool enables proactive monitoring. The supervisor HP Open View centralizes alerts coming from the réseaus or elements. With this asset management tool, it is easy to manage and monitor the performance of its “computing” devices. MEMOGuard offers the solution of sending sms alert with HP OpenView for users of HP OpenView software to address these problems because it allows to send SMS alerts on mobile phones and IT staff or staff penalty payments . It can thus receive information from Tivoly, HP OpenView, Nagios . The coupling between these monitoring tools and is MemoGuard script insertion for sending information to Memoguard (by one of the pre-mentioned channels).